Becoming known as one of America’s most versatile family ensembles, The Ditchfield Family Singers are acclaimed for their close harmony, warmth, and wide variety of musical styles and presentations. 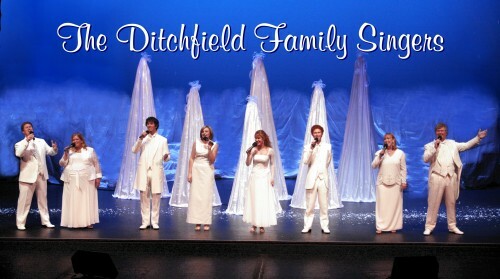 For over fifteen years, The Ditchfield Family has provided countless audiences with unforgettable entertainment experiences. They perform everything from the popular music of the ’30’s, ’40’s, and ’50’s, to Broadway show stoppers, to the best-loved traditional and inspirational standards of our time.